We have heard from a range of the volunteers and researchers working with Lester Burgess in Laos, including Harriet Brickhill, Jillian Lyall, Victor Puno, David Coleman and Nina Potts. Here we have a report from Lester on how things are going. I recently had this PBCRC webstory brought to my attention—I am fortunate that young colleagues in the CRC keep me posted on relevant Tweets and blogs. Kylie Ireland (our former AVID volunteer) is particularly efficient. 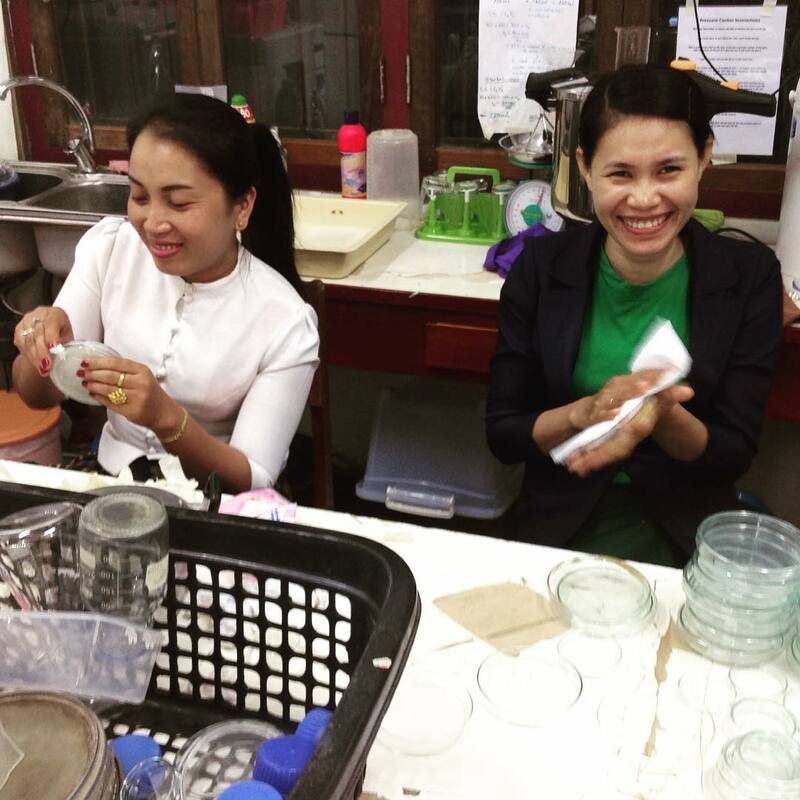 Samples of the devastating ‘virus’ in watermelons in Savannakhet (SVK) finally arrived in Brisbane this week (in the same research centre as in the story by PBCRC). Dr Denis Persley kindly offered to work on them earlier in the year. 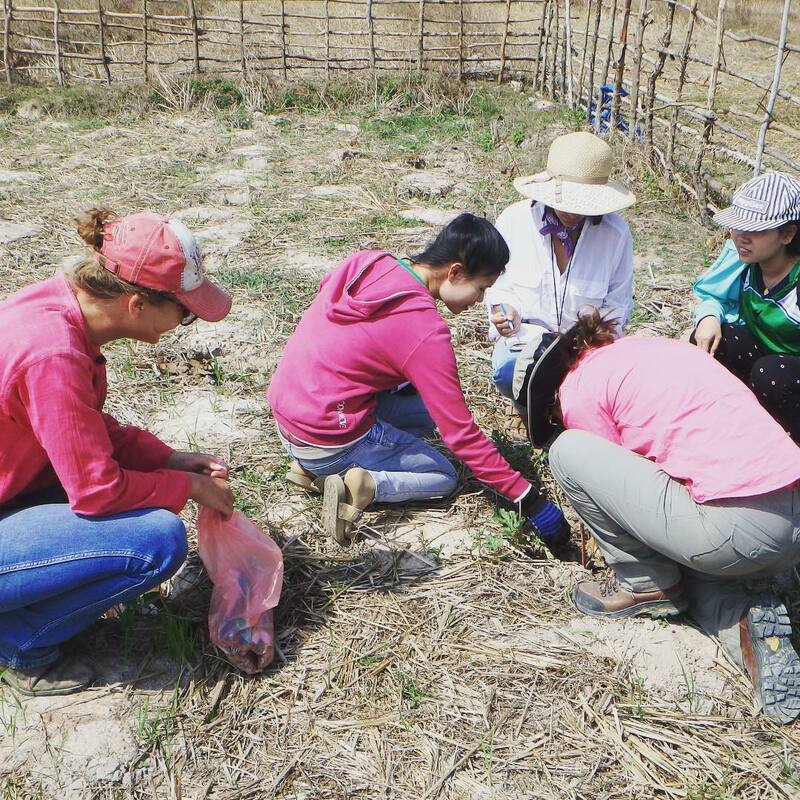 We are hoping they enable precise identification of the virus or viruses involved (see crawfordfundlaos Instagram site for pictures of symptoms under ‘curly leaf’). All this assumes that it is a virus! It was fortunate that we had planned the survey for Fusarium wilt otherwise the virus disease would not have received adequate attention. Interestingly it has not been serious in Champasak province so far this season, despite some serious but very localised outbreaks in 2015. We are indebted to Crawford NSW and the Crawford Fund grant that enabled us to to do the surveys, field trials, and to the five short-term volunteers who have been blogging on the Crawford Fund website who contributed to the surveys and helped with the farmer interviews and extension, along with the AVIDs and Gerry Duckett. 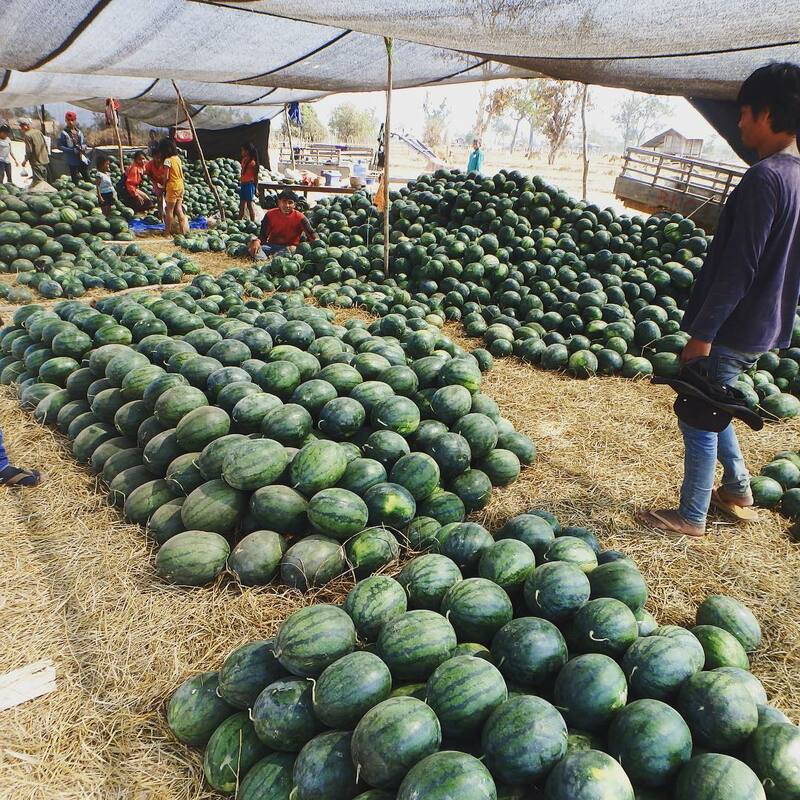 We have talked with well over 100 watermelon farmers. We also identified root knot nematode as a possible contributing factor to Fusarium wilt in SVK, and a Pythium root rot. Ian Smith (AVID) has monitored the insect pests in the watermelons. Some of the potential virus vectors are already with Madaline Healey (a former Crawford Fund scholar, AVID volunteer and now at University of the Sunshine Coast), and a friend at the Museum in Brisbane for identification to species level. Others will go back with me. 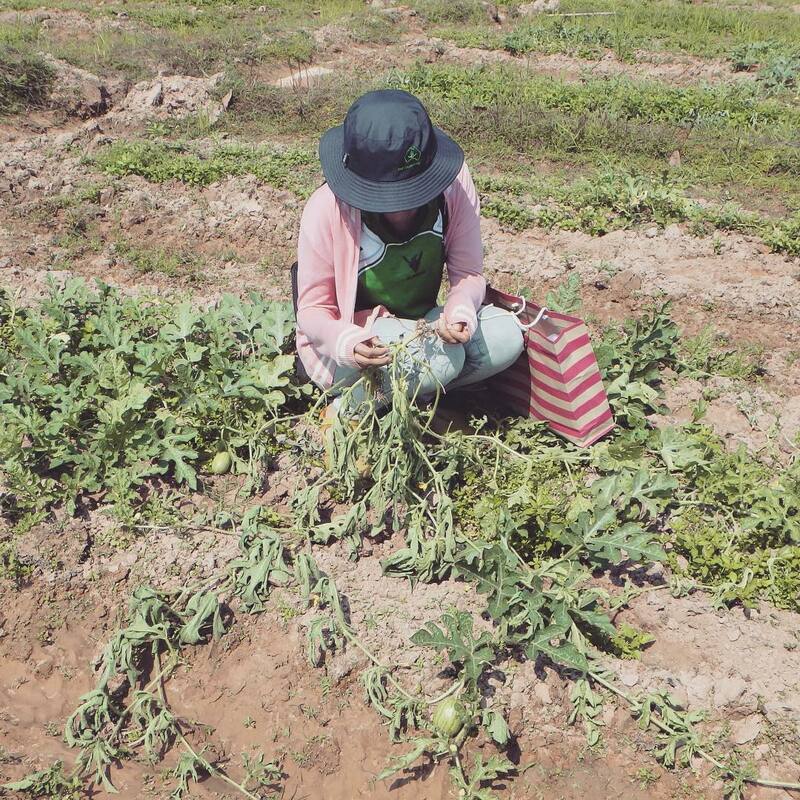 Nina Potts is writing a paper on the findings of the farmer interviews about the rice-watermelon and cattle farming systems, and the constraints that affect decisions. David collected soils for pH analysis (4.3 to 5.0 approx.) and liaised with National Agriculture and Forestry Research Institute (NAFRI) soil scientists. Both helped Victor with the SVK Fusarium wilt survey. David helped with mapping sites using GPS coordinates of all sampling sites in both provinces. Our biggest challenge is pathogenicity testing isolates as there are no greenhouse facilities at the two Provincial Agricultural and Forestry Office (PAFO) facilities. Observations and some small tests indicate that we have Race 0 possibly Race 1 of Fusarium oxysporum f.sp. niveum (Fon). All locally available cultivars are very susceptible to wilt and the ‘virus’ that the farmers in SVK call ‘curly leaf’ (in Champasak they call it ‘leaf rolled’)—best translations. Unfortunately there is no obvious profitable alternative crop to watermelons in the dry season, except perhaps cantaloupe. The legendary Dr Phoudalay, Director of the Thasano Seed Multiplication Centre in SVK, is growing the three watermelon wilt differentials for us to assess their adaptability under raised bed and furrow irrigation conditions and produce more seed, assuming the ‘virus’ does not affect them. Meanwhile we have also been involved in other new and old diseases in vegetables, especially Phytophthora infestans in tomato, and diseases in new crops. 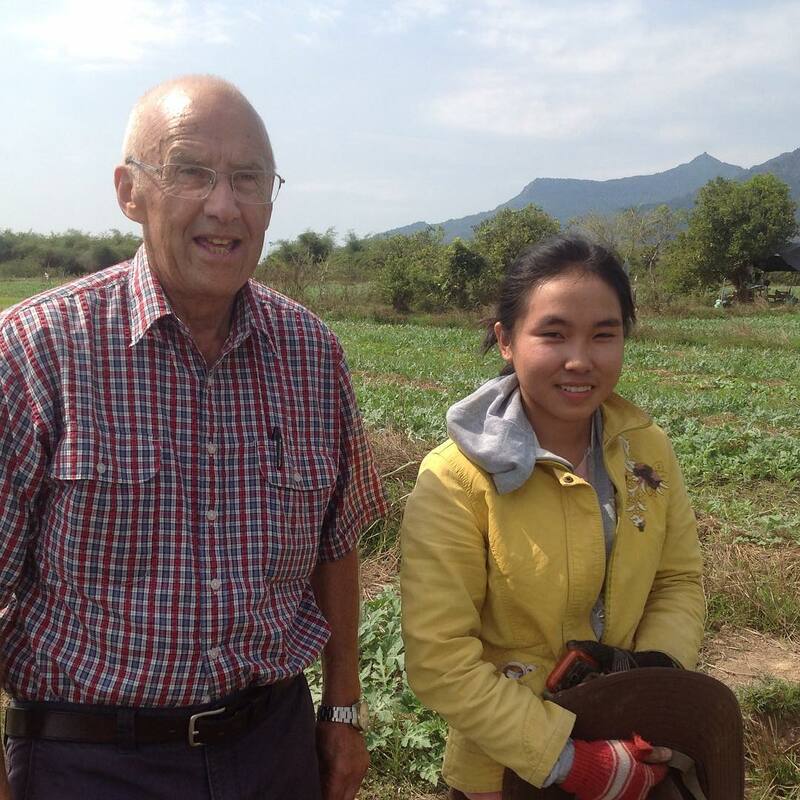 For previous articles and blogs on volunteers and researchers currently working with mentor Prof. Lester Burgess in Lao PDR, click on the links below.